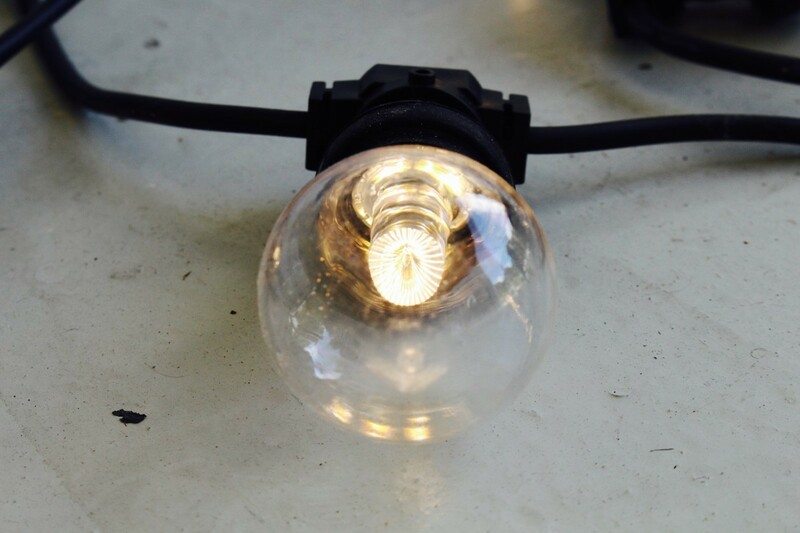 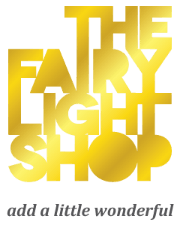 These FESTOON party lights – clear LED are low-voltage and using a sturdy black rubber wire with NEW LOOK light weight plastic bulbs which are durable and long-lasting. 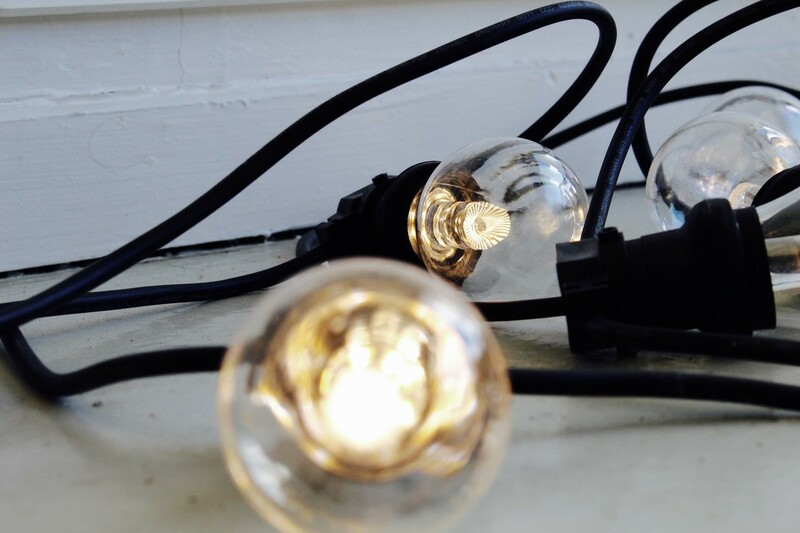 With a soft warm light they look great as an interior design feature and as alternative lighting source inside your home or work and no need for a dimmer. 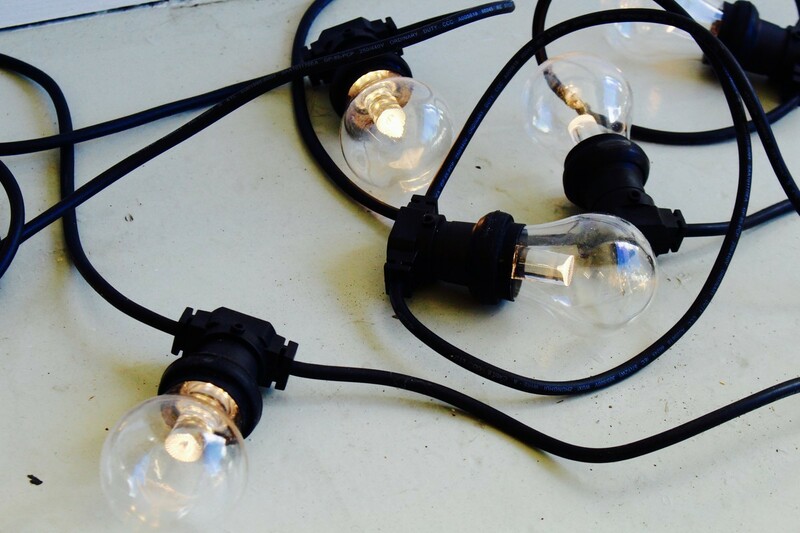 Ideal for weddings and parties or all year round these lights look great in a marquee or in courtyards, gardens and under rooflines.